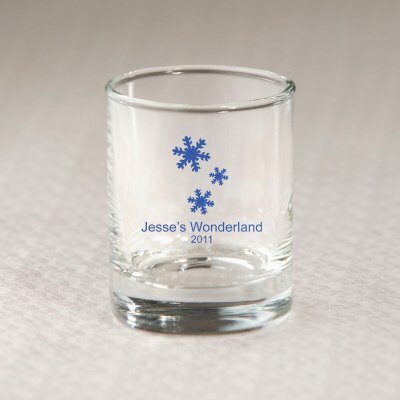 Available in over 50 unique designs and many ink colors, these fun personalize glass holders are sized perfectly to hold votive candles or a shot of liquor. 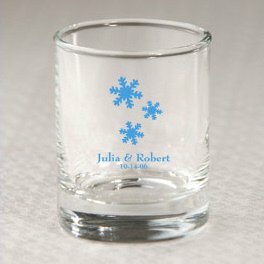 To make them extra special for your guests, we customize them with your names and wedding date. Gift boxes for these glasses are available during the checkout process, for an additional fee. The glasses measure 2.5" tall x 2" in diameter, with a 3.5" ounce capacity.